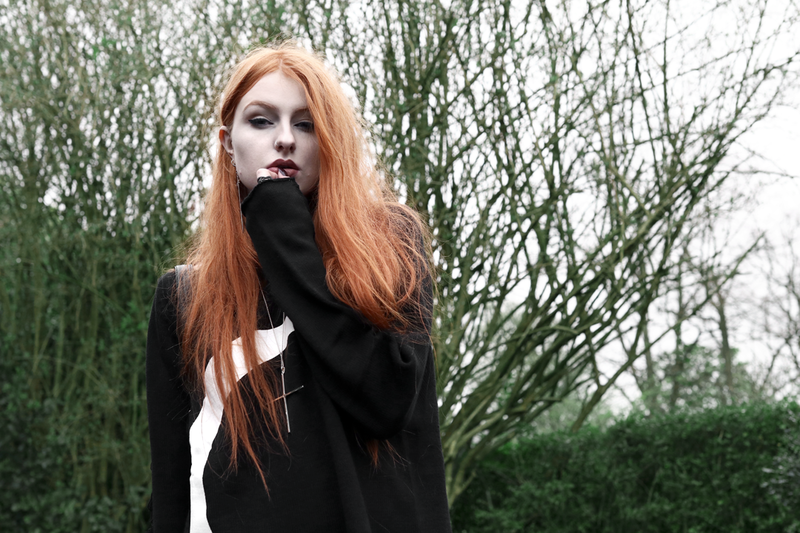 Oversized Jumpers and How to Wear Them. 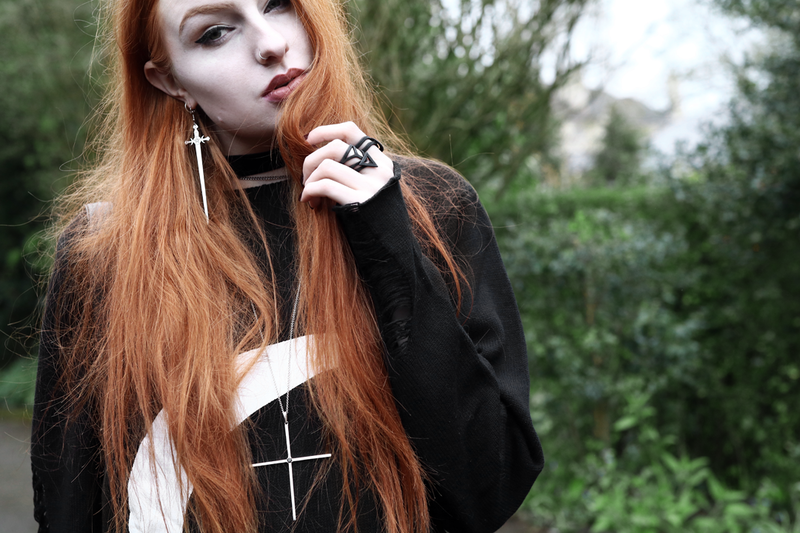 If there’s one staple I need in my wardrobe, it’s a cosy oversized jumper (or sweater to you American lovelies)! With that in mind, I’ve put together a little list of why these beauties are such a permanent part of my closet, and how I love to wear them. If you were to ask me which pieces of my closet get the most love, I’d take a guess that oversized jumpers must be pretty high up the list. Why? Because they work in so many ways! As I’m showing here, they can be worn as a dress with thigh high socks to create a super-cosy look. 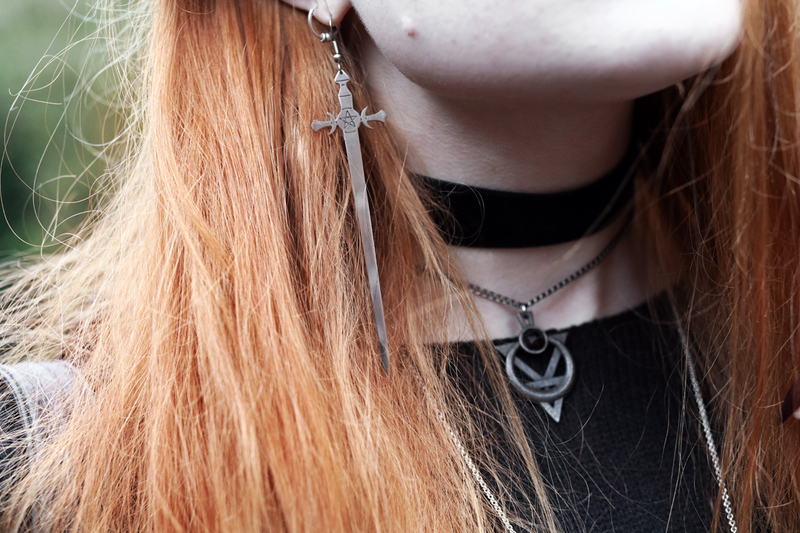 Alternatively, they can be thrown on over leggings or jeans (as I show here, here, and in this incredibly old post here), or over a dress or skirt. This can be a great way of playing with textures – I absolutely love pairing a knitted jumper over a skirt that is a much ‘harder’ material, such as pvc or leather (like I did here). You Can Be Jacket Free! At the moment I’m all about minimal-fuss outfits, and as the weather is improving I don’t really want to take a jacket everywhere with me. That said, this is England, and the weather is always bloody unpredictable. 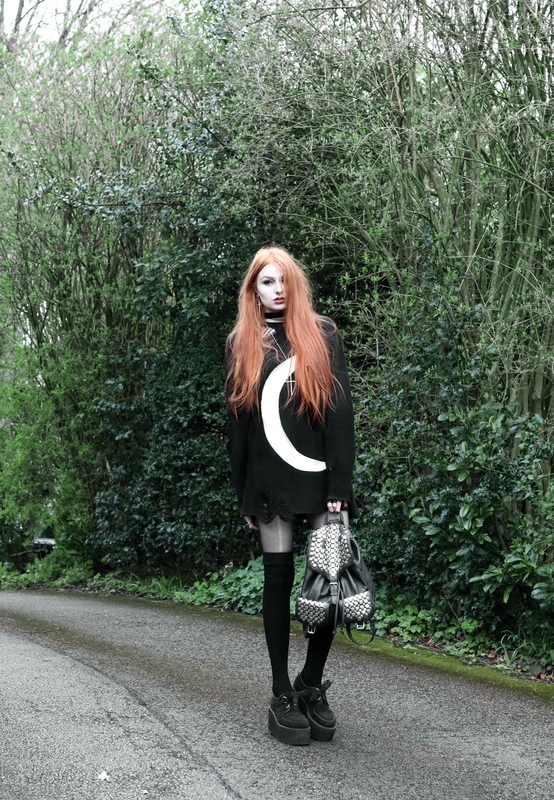 The Killstar jumper I’m wearing here isn’t a super chunky knit, so it’s perfect to wear in the ‘not-quite-summer-yet-so-it’s-still-kind-of-windy-and-cold’ weather we’ve experienced over the past few weeks. I’m also a fan of throwing an oversized jumper over an outfit in place of a jacket, with just little hints of the outfit poking out from underneath. I actually featured an look like that about a year ago – you can check it out here. As I mentioned earlier, oversized jumpers are pretty much no-fuss as you can build such an easy outfit. On top of that, I find that they can act as a bit of a comfort blanket. In all honesty, I haven’t been feeling completely myself over the past few months, but something about wrapping myself in giant sweaters with humongous sleeves that reach my fingertips in so incredibly comforting. Perhaps it reminds me of wrapping myself in my boyfriend’s hoodie back when we were long distance or maybe being even younger and borrowing my parents jumpers when I was cold – just little happy memories that make me feel fuzzy inside. What do you guys think of oversized jumpers; wardrobe staple or something that you don’t really need? And if they’re not for you, what is a must-have in your closet instead? Previous Post Dressed-Down Sunday Best. Next Post Bad Habits & Pressed Flowers. I love these ‘How to’ posts you’ve been doing! I do hope you feel better soon though. The recent posts of yours have been amazing! It’s so good to see you branch out, and I totally agree with jumpers being ideal (specially for this time of year!) Keep it up dear! Great post, I completely agree. 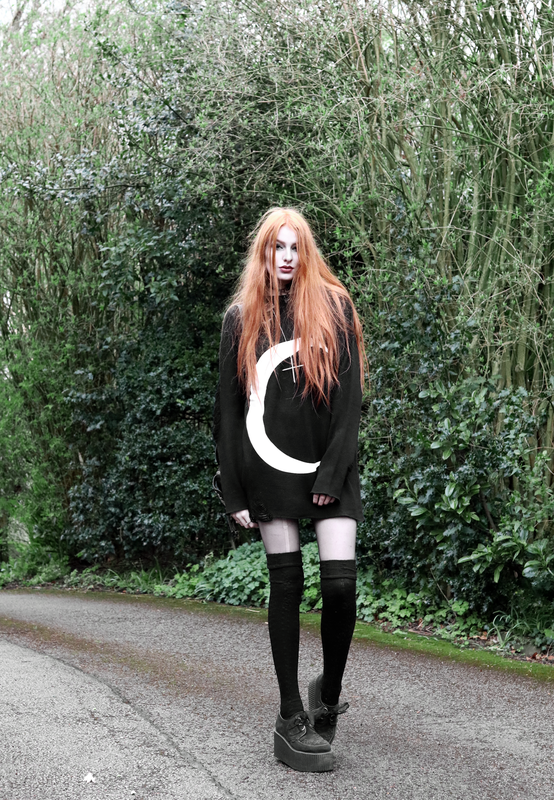 Oversized jumpers can look great with minimal effort and they always look stunning on you. I love love love oversized jumpers but I can’t really wear them often the way I would like to( no pants) because I am a law student so I can’t really wear whatever I like. I hope you will give us more ideas on how to wear things when you are limited in your choice of clothes.